FORT WORTH, Texas, October 3, 2018 – Matthew Rose will step down as Executive Chairman and retire from BNSF Railway Company (BNSF) in April of 2019. 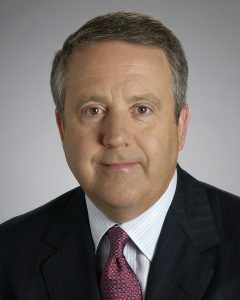 At the end of his tenure, Rose will have been Executive Chairman for six years, and BNSF Chief Executive Officer for the prior 13 years. He also served in senior leadership for marketing and operations before assuming the CEO role in 2000. During his tenure as CEO, he helped guide the acquisition of BNSF by Berkshire Hathaway (BRK) in 2009. Rose’s tenure is characterized by his commitment to growth with customers, achieving productivity especially through technological advancement, and developing BNSF’s employees. As a key part of employee development, Rose oversaw the design of the BNSF Leadership Model in 2000 and successfully institutionalized it to forge a cohesive BNSF corporate culture. Through the Leadership Model, BNSF has developed the leadership of teams and individuals across the company throughout the years, making BNSF more successful and resilient. Rose’s commitment to safety and productivity is best demonstrated through his focus on technology. BNSF’s leadership in train control implementation, and other technologies, will change the industry for decades to come. Rose has advocated at every point in his career that customer service is what drives profitability, the virtuous cycle of reinvestment, and provides the public license to operate. Rose understood the importance of and navigated public policy for the benefit of BNSF and the industry throughout his career.